Our SparkHealth team possesses a balanced knowledge of healthcare and technology expertise. The team is recognized as leaders in healthcare innovation and open platforms around Bigdata, AI, Security and Compliance. Dr. Panicker is co-founder and CEO at SparkHealth B.V.
Dr. Panicker is a medical doctor who had her own clinics in India. Having accrued many years of experience in hospital and clinical medicine, she decided to do a Master in International Health from Royal Tropical Institute, Amsterdam, the Netherlands. Deepti also founded the Monad Health Consultancy and has successfully developed proposals in public health with special focus on CSR activities in India and Nepal. Her work involved services to NGOs in public health from Southeast Asia and select countries in Africas and to agencies such as Unilever, FHI360, Algeos, Agha Khan Foundation, Save the Children, UNFDP and the World Bank. As project coordinator and facilitator, she has also worked in collaboration with the Ministry of Health and various academic institutes in designing field trials and bigdata analytic studies. 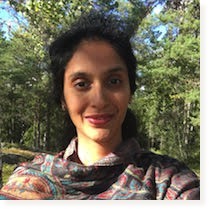 Her public health work includes a special focus on policy debates in health sectors, International development (aid-architecture and public-private partnerships) in rapidly evolving economies, Development economics and role of civic societies in health sectors, advanced planning, monitoring & evaluation and Climate change and effects of globalization. Deepti has in her Master’s Thesis developed a Framework for Health policy considerations in rapidly evolving economies and actively incorporates it in shaping strategic planning and implementations. Dr. Ligtenberg is co-founder and chairman at SparkHealth B.V.
Adriaan is CEO at Akiri, a Silicon Valley based company that is creating the first ever private and open subscriber network for healthcare in a 360 degree network of trust for secure and compliant transport of all sorts of healthcare data. He is also Managing Director at Health2047, the innovations studio of the American Medical Association (AMA). Dr. Ligtenberg is a proven Silicon Valley executive with a track record in founding, building and exiting breakthrough technology-based companies. 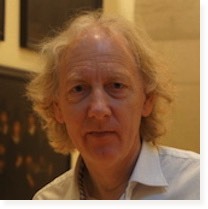 During his tenure at Bell Labs he worked on JPEG and MPEG compression standards and also lectured in computer architecture at Princeton University. Adriaan went on to found Bay Area successes including C-cube and Storm Technology, and subsequently joined Cadence Design as Sr VP WW Services, setting up the first, secure virtual CAD work platform. He was CEO of SpinCircuit, a joint venture between Cadence and FLEX. He founded and chaired BMEYE BV, a cardiovascular medical device monitoring business, later sold to Edwards Life Sciences. In 2015, he founded AllMobile, a seed-stage investment fund focusing on startups in the mobile, data and AI fields. 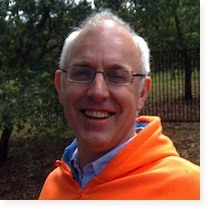 Adriaan is on the boards of multiple health and technology companies both in the Netherlands and in the United States. He holds several patents and received his PhD in Computer Science from École Polytechnique Fédérale de Lausanne. Gé is an innovative entrepreneur and teacher at the Hogeschool voor Kunsten Utrecht. Gé addresses all the nuances of design, graphics and communications apart from being insightful on how we present our ecosystem partners. 85% of all successful collaboration is about how we communicate with our colleagues and partnering companies and at SparkHealth - our ecosystem partners come from myriad backgrounds. Gé ensures that we pay attention to detail by nurturing our communications side. Apart from his role at SparkHealth, he is also an iconic Jazz Pianist. He is also dedicated to ensuring that innovations make the correct impact in our lives. " Why should the innovation benefits be confined to one industry alone? Bringing healthcare and innovations together so that peoples lives are directly impacted for the better - is a challenge I love to tackle!" Monique has over thirty years of experience in the insurance industry and has held senior global leadership positions such as CMO, COO and Global Head in marketing, product development, sales, operations, R&D and Business Intelligence for companies such as Chubb, Zurich Insurance Group, ACORD and Mutual of Omaha, based in Europe and the USA. In addition, Monique was a partner in leading strategic advisory/analyst firm Strategy Meets Action (SMA), managing the data and analytics practice. 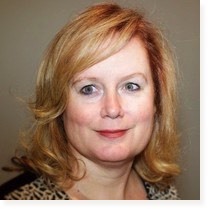 As the managing member of Forcas LLC, Monique currently supports selected insurtech firms such as SynerScope and Infinilytics with strategy, market and proposition development and aspires to help technology firms and insurers innovate and use new technology and processes to better service their customers in General Insurance, Life and Health insurance. She is an active volunteer/participant in industry efforts around data and analytics and is a frequent speaker at insurance and data/analytics events worldwide. Monique served as a Board Member for Health Republic Insurance of New Jersey and currently holds a Board position at Infinilytics, an AI and predictive analytics company addressing insurance fraud and litigation propensity. Monique is a Dutch citizen and a permanent resident of the USA. She holds a BBA from Nyenrode University in the Netherlands, studied Organizational Psychology at the University of Leiden, and obtained a Masters in Applied Science in Environmental Policy and Management degree at the University of Denver. Dr. Sanjeev Khanna, MD, is a consulting gastroenterologist and physician, with over forty years of experience. Based in Mumbai, Sanjeev has worked extensively with all the top clinical institutions in India and abroad and served as faculty at many National and International Gastroenterology Seminars and as a delegate at many conferences. Presently he is engaged as a consulting gastroenterologist-physician at leading hospitals in Mumbai, namely at the Lilavati, Holy Family and Cooper Hospitals. Sanjeev’s current interest is in the field of applications of endoscopy in pancreatology. He is actively involved in research on Hepatitis C, Luminal Gastroenterology, Newer Proton Pump Inhibitors – with the Quintiles Research (India) Private Limited. Sanjeev is always eager to implement innovations in healthcare and especially in his fields of interest to improve the efficiency and outcome of healthcare decision making and delivery of patient centric treatment. As a 2012 Harvard Fellow (Advanced Leadership), Alain Paul Martin teamed up with leaders whose mission is to “change society and its institutions, individually and collectively making a difference on global, national, and community problems." Today, he strives to fulfill that mission as inventor and Chief Architect of Harvard University Global System™, the framework for complexity reduction, productivity and innovation (acceleration, quality, scaling and sustainability). He continues to serve as a thought leader in exemplary leadership, innovation, strategic alliances and foresight work. He also coaches the director of Applied Research & Technology at Teck, Canada's largest diversified resource firm. For 10 years, he has assisted Desjardins' CEO rebuild and scale North America’s fastest-growing casualty insurer and craft the vision and strategic direction of the "world's second strongest bank" (according to Bloomberg). He advised two prime ministers (4 years) and UNESCO's head for whom he authored “Overhauling the UNESCO and Strengthening Its Essence”. He spearheaded, with Dr. Brian Morrissey, the creation of Canada's Food Inspection Agency. He addressed complex technology and environmental issues from the Arctic Circle (Canada, Sakha Republic) to Africa. 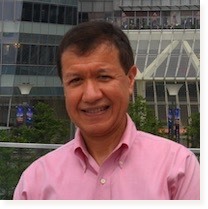 Alain led capital projects (Bombardier, Du Pont, World Bank); taught negotiation to graduate students, risk management to nuclear-power engineers and executives and led leadership workshops for executives at Bertelsmann, Boeing, Cap-Gemini, E.ON, GE (USA, Canada and Europe), Harvard University and Skanska. Alain was selected by Harvard Business School for the 3-year part-time Owner/President Program (OPM) for leading CEOs owning 51% of their firm and generating $5 million+ (now $10 million+). “Leadership, Vision and Service” and PMI for his “outstanding contribution to project management's state-of-the-art”. His book "Harnessing the Power of Intelligence” earned praise from scholars and business leaders. Dr. Pachauri is a Nobel Prize winner and the former Chairman of the Intergovernmental Panel on Climate Change (IPCC) established by the World Meteorological Organization and the United Nations Environmental Programme. In 2007, he was awarded the Nobel Peace Prize alongside the former US Vice-President Al Gore. 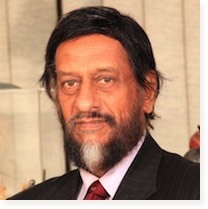 Dr. Pachauri was the Founding Director of the Yale Climate and Energy Institute (YCEI) and continued his role as Senior Adviser to the YCEI until June 2014. He also taught at at the School of Forestry and Environmental Studies, Yale University, USA, as a McCluskey Fellow. 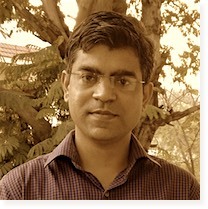 Rajendra has been active in several international forums dealing with the subject of climate change and its policy dimensions. In 2008, the Indian Government conferred him with the ‘Padma Vibhusan’ – the second highest civilian award – for his services in the field of science and engineering. Earlier, in 2001, the President of India had also awarded Dr. Pachauri the Padma Bhushan – as an acknowledgement of his immense contributions to the field of environment protection. He was also conferred with the ‘Officier De La Légion D’Honneur’ by the Government of France in 2006. Rajendra is also the former Chairman and founding CEO of the New Delhi-based The Energy and Resources Institute (TERI). Presently, he is the Chief Mentor of the POP (Protect Our Planet) Movement and President of the World Sustainable Development Forum. In India and abroad, Rajendra is extensively involved with academic and research institutes, has authored 27 books, numerous academic papers and articles. Dr. Savelkoul is a cell biologist and immunologist with a wide and longstanding experience in health related research, consultancy and teaching. 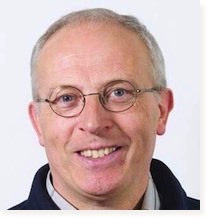 He is head of the department of Cell Biology and Immunology at Wageningen University & Research in the Netherlands. He has a solid scientific output and network based on the connection of new developments in animal and human health monitoring, and innovative technologies for relevant biomarker measurements. He is specialist in improving disease resistance and immune competence by lifestyle, including nutritional factors. He has a keen interest in the immunochemical interaction between rationally improved immune health and the protective immune responses. He holds a PhD from the medical faculty of the Erasmus University Rotterdam and worked as a postdoctoral fellow at DNAX Research Institute in Palo Alto California. 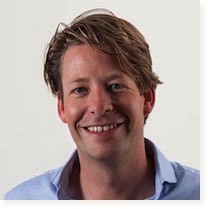 Thijs Cohen Tervaert is Advisor at SparkHealth. During a one year secondment in 2014, Thijs helped to establish the Amsterdam Health and Technology Institute, a collaboration between the Academic Medical Center in Amsterdam and Duke University. Since 2016, Thijs is at INKEF, a venture capital firm based in Amsterdam. At Inkef, Thijs focuses on Health Care, with a particular focus on digital health. Thijs is a board observer at ViCentra, a company that has developed a new insulin patch pump for Diabetes. Dr. Harshad Thakur, MD, is Professor at the Tata Institute of Social Scienes (TISS) for over fifteen years. At TISS, he started the Masters of Public Health (MPH) programme. 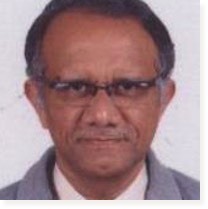 He is an expert in guiding research projects of PhD, M.Phil, MPH, MHA and DHA students. He has also organized and conducted various national / international workshops, seminars and training programmes. 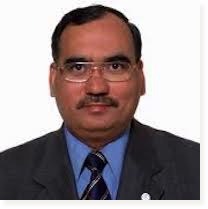 Research interest of Dr. Thakur includes any area which falls under broad spectrum of Public Health and Epidemiology. He has carried out research projects under health financing, workforce analysis, development of quality clinical indicators, user fees, menstrual hygiene etc. He has also carried out research studies for various disease conditions like Tuberculosis, Leishmaniasis, Diabetes, effects of nuclear radiation, etc..
Dr. Thakur currently teaches courses like Basic and Advanced Epidemiology and Biostatistics, Epidemiology of Communicable diseases. He had also taught in the past courses like Introduction to Public Health, Principles of Health Services Management, and Health Planning, etc. Sameer Talele is Advisor at SparkHealth. 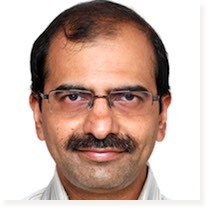 Dr. Talele, is accomplished in clinical medicine and presently running his own clinics in India. Sameer brings to our team good balance between understanding innovative technology and clinical medicine. Sameer is great at setting priorities and has a clear vision on how to tackle the problems plaguing healthcare through introducing the AI and bigdata analytics tools within the ecosystem. "A sound understanding of the standpoints of the researcher, the physician and the patient is incomplete without the correct technology to help strengthen the ecosystem where they perform best."